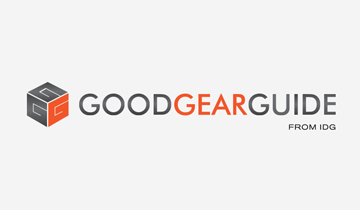 Lakeland Industries, Inc., a U.S.-based manufacturer of protective clothing, recently announced its collaboration with Amazon.com for sales and distribution of its products, which is a part of company’s e-commerce strategy. National Safety Apparel, another player in the flame retardant apparel market, recently announced that it is expanding its USA-based safety clothing manufacturing capabilities by acquiring a Chicago-based flame resistant (FR) clothing manufacturer – Rubin Brothers – and its brand Union Line™. A European stakeholder in the fire resistant Clothing market – Ansell Protective Solutions AB -- partnered with Shigematsu Works Co. Ltd (STS) – a Japanese personal protection equipment company to cover the marketing, distribution & after-sales service and maintenance of Ansell’s products in Japan. 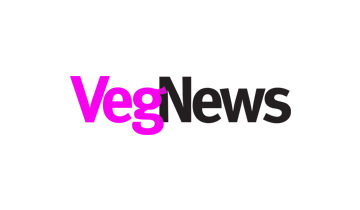 Carrington Textiles Ltd., a U.K.-based player in the fire retardant apparel market, announced the launch of a stretch fabric – the Flameflex 275 – for flame retardant apparels. The company declared that the use of elastolefin fibers for the inclusion of polyester in the stretch fabric improves abrasion resistance and strength of flame retardant apparels. Furthermore, the company also stated that the fabric meets accreditations EN11611, EN11612 and EN14116 and can withstand temperatures up to 75 degrees. The Fact.MR report provides detailed analysis on the recent developments in strategies of key players in the flame retardant apparel market. Leading stakeholders in the fire retardant clothing market featured in the Fact.MR market report include Honeywell International Inc., Bulwark FR, Seyntex N.V., Fristads, Marina Textil S.L., DEVA F-M. 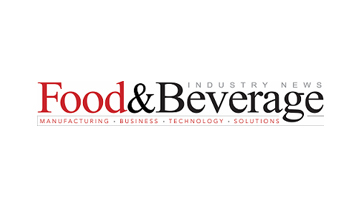 s.r.o., Koninklijke Ten Cate nv, Portwest Ltd., Lakeland Industries, Inc., National Safety Apparel, Ansell Protective Solutions AB, Carrington Textiles Ltd, Hydrowear, Arco, Scandia Gear Europe B.V., and Eagle Technical Products. Note: Fact.MR’s study offers incisive insights on the flame retardant apparel market. A summary of the report is available upon request. The flame retardant apparel market remains highl consolidated with tier I and tier II companies accounting for nearly 30-40% and 40-50% revenue share respectively. Large-scale and vertically integrated companies in the flame retardant apparel market continue to have a competitive edge owing to easy accessibility to raw materials. Furthermore, by diversifying their product range through increased investments in the R&D facilities, leading companies hold sway over the flame retardant apparel market. Use of personal protective equipment in high-risk industries that can pose serious harm to workers’ health is mandated by occupational safety organizations across the world. The Occupational Safety and Health Administration has developed regulations, such as 29 CFR1910.269, that mandate employers to provide flame retardant apparels or clothing to employees that are exposed to the hazards of flames or electric arcs in the work premises. Worker safety regulations are also being implemented strictly in developing countries, which has led to a spurt in flame retardant apparel sales in recent years. These macro trends are likely to influence flame retardant apparel market in the future. Taking into consideration the importance of safety features of flame retardant apparels, governing bodies have developed high quality standards for personal protective equipment to ensure wearer safety. Manufacturers in the flame retardant apparel market need to comply with regulatory requirements before marketing and selling their products. For example, the European Commission recently introduced the EU Regulation 2016/425 concerning the quality of personal protection equipment. The NFPA 2113 standards established by the National Fire Protection Association define the safety requirements associated with the selection, care, use, and maintenance of flame-resistant garments including fire retardant apparels. Complying with evolving legal regulations may influence market players to modify their manufacturing strategies, which is one of the leading factors to impact the production cost of flame retardant apparels. Furthermore, tedious certification and approval procedures make a huge impact on the pricing, which adds to the manufacturing challenges for stakeholders in the fire retardant clothing market. Gender diversity is becoming reality across various industries as women are foraying into industries such as oil & gas, chemical, and mining industry. Perpetually increasing percentage of woman employees in these industries has created new opportunities for protective clothing industry. According to the United Nations Economic Commission for Europe (UNECE), female representation in top oil & gas companies is around 11%, and this number is likely to increase rapidly in the upcoming years. To gain a competitive edge in the market, flame retardant apparel manufacturers are focusing on enhancing functionality, without compromising on the aesthetics. Flame retardant apparels are among the most important and most commonly used personal protective equipment across a wide range of industries. Flame retardant apparels find applications in a range of industries, including but not limited to, oil & gas, building & construction, electronics & electric power generation, automotive, and chemical industry. The broader developments in these industries has a significant impact on the fortunes of fire retardant apparel manufacturers. The recovery in oil prices, infrastructure investment in Asia Pacific, and relative economic stability in the US have been instrumental in driving business activity, which in turn has had a ripple effect on the flame retardant apparel landscape. 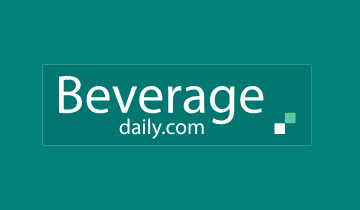 Note: For a detailed analysis on all the key market dynamics, request a sample. Flame retardant apparels are manufactured using materials, such as woven, non-woven, or knitted clothing, which have been treated chemically to give them self-extinguishing characteristics. However, both, inherent and treated flame retardant apparels are used in several end-user industries, depending on the industrial applications. Fire retardant Clothing is an important type of personal protective equipment used by workers in industries that pose risk of most serious safety hazards, including oil & gas, mining, petrochemical, and electronics & electric power industry. The Fact.MR study provides valuable information and actionable insights on critical dynamics of the Fire retardant Clothing market to help readers to fathom future prospects and current growth parameters of the flame retardant apparel market. 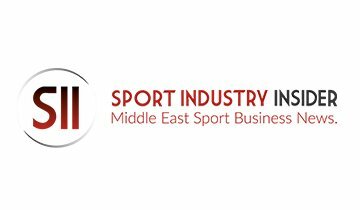 The report includes the exclusive predictions about market growth in terms of market size (US$ million) and market volume (Mn Mt Sq.) during the forecast period. This study is a comprehensive presentation of reliable market insights on how the flame retardant apparel market will expand across the world during 2018-2027. The Fact.MR report divides the flame retardant apparel market into its five broad sub-segments – regions, product types, apparel types, clothing types, and end-uses. 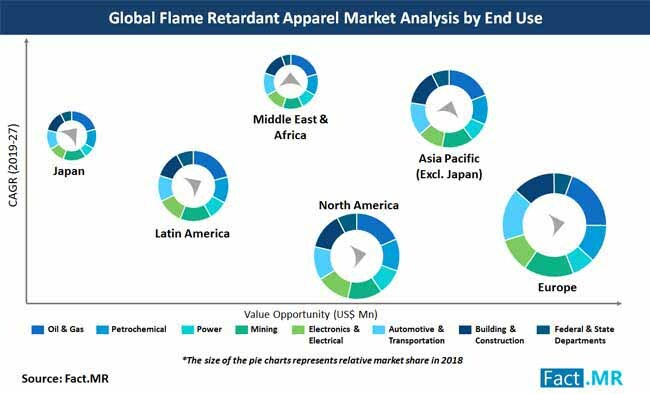 Based on geographical regions, the flame retardant apparel market is segmented into North America, Latin America, Europe, Japan, Asia Pacific region excluding Japan (APEJ), and the Middle East & Africa (MEA). Based on the product types of flame retardant apparels, the flame retardant apparel market is segmented into two categories – inherent flame retardant apparels and treated flame retardant apparel. Based on the types of flame retardant apparel, the flame retardant apparel market is segmented into woven flame retardant apparels, non-woven flame retardant apparels, and knitted flame retardant apparels. According to the clothing types, the fire resistant apparel market is segmented into two categories – durable clothing and disposable clothing. According to the end-uses of flame retardant apparel, the flame retardant apparel market is segmented into oil & gas, petrochemical, mining, power, electronic & electrical, automotive & transportation, building & construction, and federal & state departments. Valuable data included in the Fact.MR report on flame retardant apparel market can enable market players to get the hang of important statistics associated with growth of the market. The report also helps reading by answering crucial queries about growth prospects of the flame retardant apparel market, which can help them to adopt appropriate strategies while entering the flame retardant apparel market. What impact do the global flame retardant and resistant fabric trends will have on the growth of the flame retardant apparel market? Which regulations are making a significant impact on growth prospects of the flame retardant apparel market? Why are most market players shifting their focus on investing in the flame retardant apparel market in the Asia Pacific region? 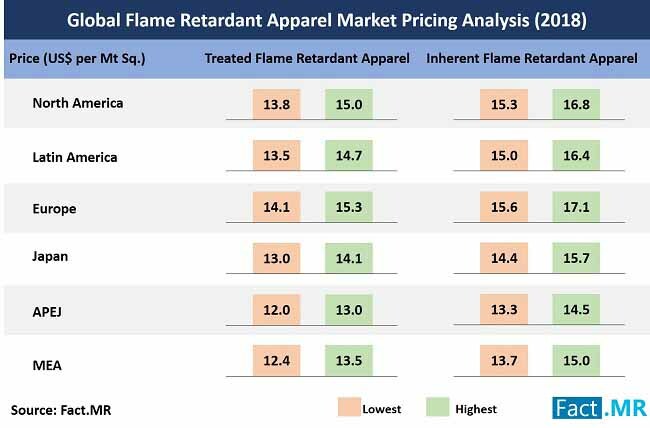 What are the most common strategies adopted by leading manufacturers in the flame retardant apparel market in developed regions? What is the exact impact of the political status quo in developing regions on growth prospects of the flame retardant apparel market? By following this unique research methodology, analysts can reach conclusions associated with the growth prospects of the market throughout the period 2018-2027. A holistic approach of market research methodology is followed by analysts at Fact.MR while carrying out a thorough research on the flame retardant apparel market. The report provides readers with unique and accurate conclusions about the historic and recent development in the flame retardant apparel market. 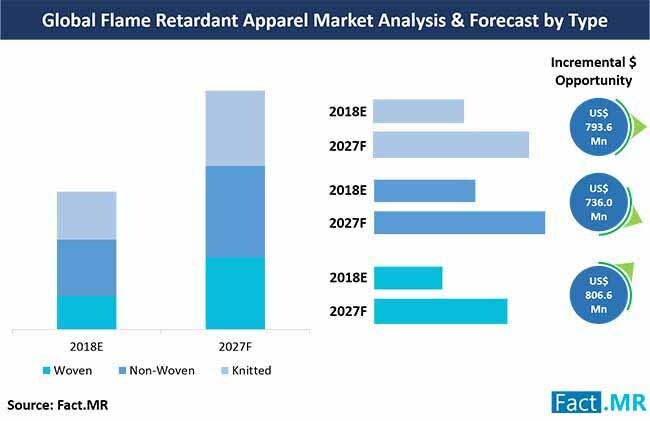 The comprehensive information featured in the report is obtained at the end of detailed secondary market research and primary market research on the historical and current growth parameters of the flame retardant apparel market. Secondary research on the flame retardant apparel elucidates the historical and current facts and industry-validated information about the flame retardant apparel market. Primary research is conducted after secondary research, where market leaders, including suppliers, manufacturers, distributors, and investors, in the fire retardant clothing market are interviewed. 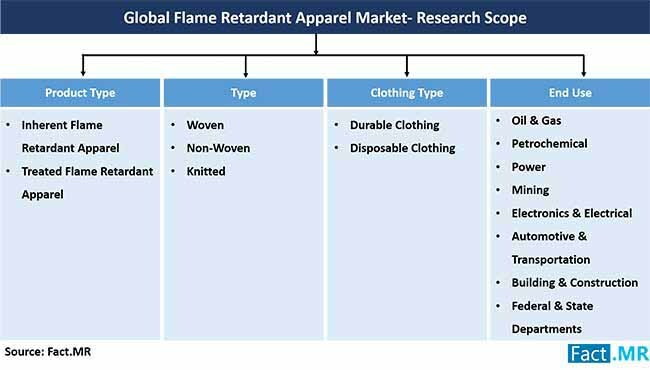 The accuracy and authenticity of the qualitative and quantitative information on how the flame retardant apparel market will grow during 2018-2027 is ensured by the unique research methodology followed by Fact.MR analysts. Note: Request methodology of this Report. 14.5.15. 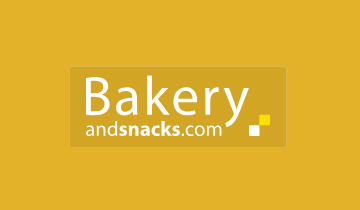 Scandia Gear Europe B.V.